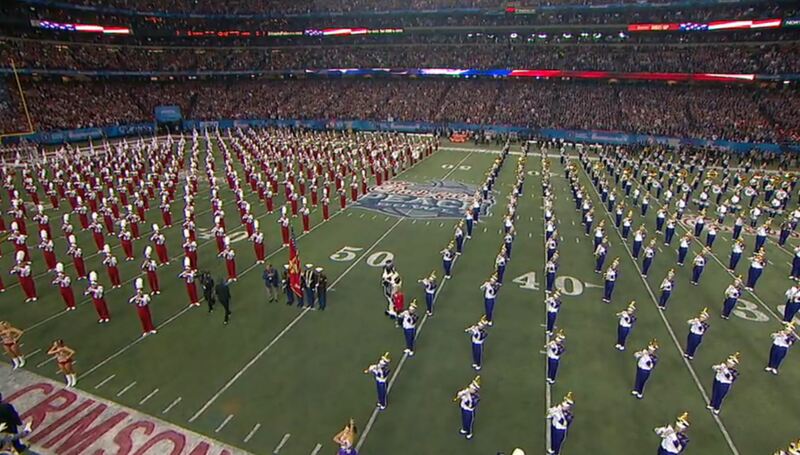 Yesterday, to start the Peach Bowl, the Alabama Million Dollar Band and the Washington Husky Marching Band joined forces to play the National Anthem for the sold out crowd. Similar to the B1G Championship game where both Wisconsin and Penn State joined together for the anthem, this once again proves that the Anthem played by bands is superior to any other performance. Here is the best version of them playing that we could find. Share and enjoy this wonderful moment from two of the countries best band programs during the College Football Playoff. Hopefully this becomes a standard tradition at all bowl games.